Membrane stripping, or membrane sweeping, is a method used to promote earlier onset of labor and reduce the risk of post-term pregnancy. Stripping membranes is a simple, easy, and safe method that can be done in a doctor's or midwife's office. According to Dr. Philip DiSaia's book, Women's Health Review: A Clinical Update in Obstetrics-gynecology (page 124), membrane stripping is a common obstetrics procedure. Your doctor or midwife might suggest to strip membranes to encourage spontaneous onset of labor and reduce your need for other methods of induction of labor. Membrane stripping may also done at the start of other methods, such as the use of oxytocin or prostaglandins, to speed up your labor. Your doctor or midwife inserts a gloved finger through the mouth (os) of the cervix during a pelvic exam. He sweeps it in a gentle motion between lower part of the uterus and the bag of waters. This easily separates or strips the intact fetal membranes from the wall of the uterus. One stripping procedure can induce labor, or your doctor might repeat it in a week or less depending on your circumstances. According to the DiSaia reference, stripping your membranes is thought to release prostaglandins and perhaps other substances from the uterine lining and the cervix. As a result, the cervix softens, effaces (ripens), dilates, and labor starts. Labor will start sooner if the cervix is already ripe before membrane stripping. When Is Membrane Stripping Suggested? Membrane stripping is often performed at 39 weeks and beyond, however, stripping membranes at 38 weeks would depend on your individual pregnancy and your practitioner's rrecommendations. It is not typically performed at less than 38 weeks. Less need for formal induction of labor by other methods: 10% of the study group compared to 25% of the control group needed other methods of labor induction. Fewer women still pregnant at 41 weeks: 10% of the study women versus 25% of the controls were still pregnant at 41 weeks. Most of the women in the study group only needed one sweep to initiate labor and a small percent needed two sweeps, which were a week apart. There was not enough data from the studies to by which to compare outcomes of membrane stripping to use of prostaglandins or oxytocin to induce labor. A study published in 2015 in the Obstetrics and Gynecology is one source of evidence that membrane stripping is also beneficial when done at the start of formal, planned induction of labor with prostaglandins or other methods. 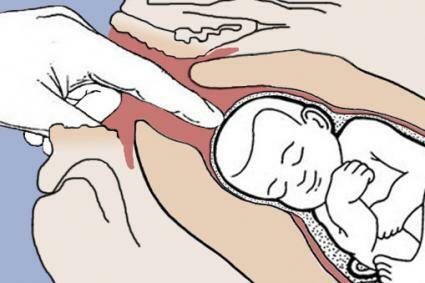 There is a small potential risk for unintentional rupture of membranes before labor starts. How effective is stripping membranes to induce labor? Membrane stripping is easy, safe, and effective for inducing earlier onset of spontaneous labor. Ask your doctor or midwife if you might benefit from membrane stripping if you are past your due date and you have no signs of cervical ripening or labor.